Sometimes, you just need a little bit of guidance and help to keep you on track toward your fitness goals. These resources are meant to get you pumped to work hard, and have fun in the process. Learn about Keith's personal fitness journey, first-hand. Find out how Lori found her fitness success. Learn how Jenny lost that hard-to-lose baby weight. Looking for more fitness tips & tricks? 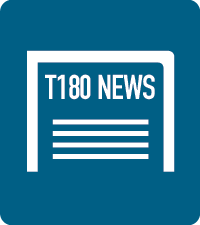 Get a little T180 delivered right to your email box.